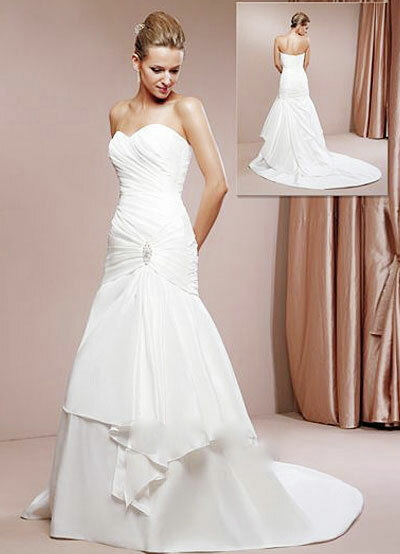 Custom made gowns to suit your body and budget. 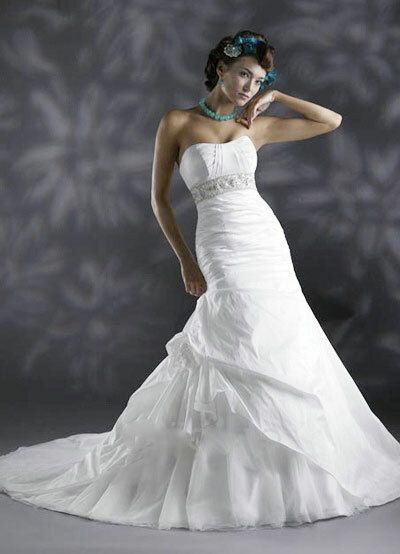 Great concept, great wedding dresses.. Here are just a few of the fabulous gowns we found at Bridal Network newcomer, Joanna's Bridal Shop (Based in Montréal - online ordering available). (*) After we ran this story, we realised: all these dresses are only $425! Soft ruffles or lace accents make these dresses a perfect fit for a day of romance! Keep your hairstyle loose (up or down) to match the softness of this look. Your make up, too, should follow suit. Make sure it's not too bright or overdone. 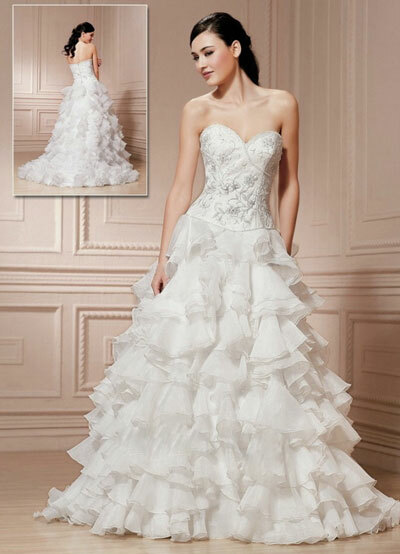 Elegant full ball gowns always make a statement and add an extra element of drama to the attire. Coupled with a perfectly styled classic updo, these gowns are all about glamour! Shapely gowns in a mermaid style have turned heads for decades and these gowns are no different. An old favourite with updated twists like embroidered waists and draping makes these mermaid dresses very chic for a 2010 wedding. Planning a destination wedding or just want the feel of a summer beach wedding? These gowns are perfect for long hot days and nights. Coupled with long wavy locks and strappy sandals, these wedding dresses say "summer's here!" In keeping with today's hottest wedding dress trends, the custom made gowns at Joanna's Bridal Shop in Montreal offer something for all brides and all tastes. Not in Montreal? Don't worry. Joanna's Bridal Shop can service customers anywhere in Canada. Happy shopping!